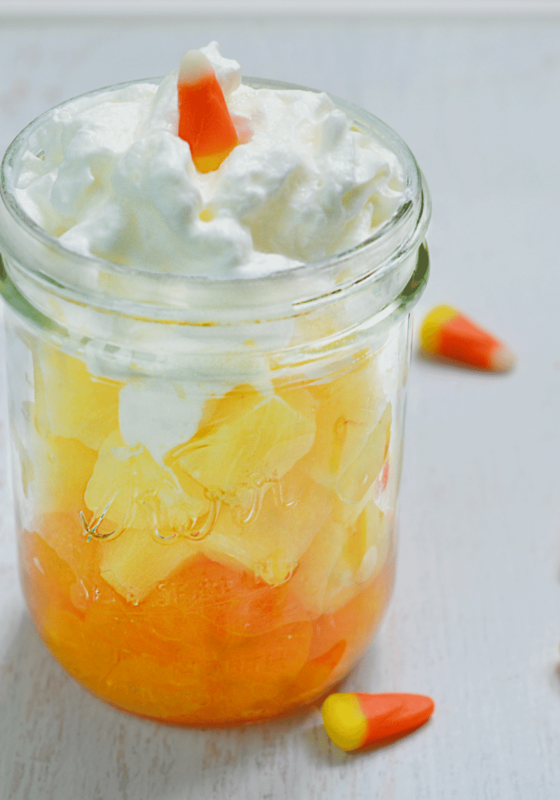 Here’s a fun Halloween treat that you can make up quickly and easily. Of course you can make your own cupcakes, if you like. But don’t feel bad if you go pick them up from your local grocery store! 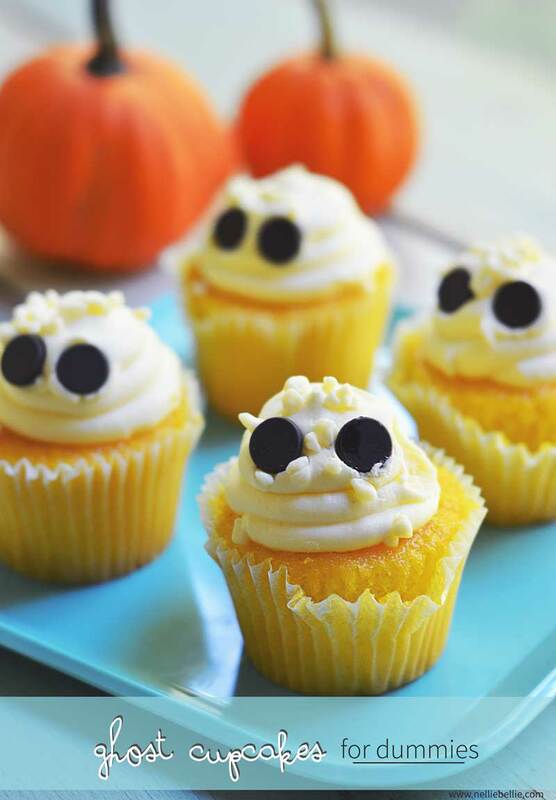 These easy ghost cupcakes are perfect for those of us with busy schedules that still want to bring a cute treat to the Halloween party. 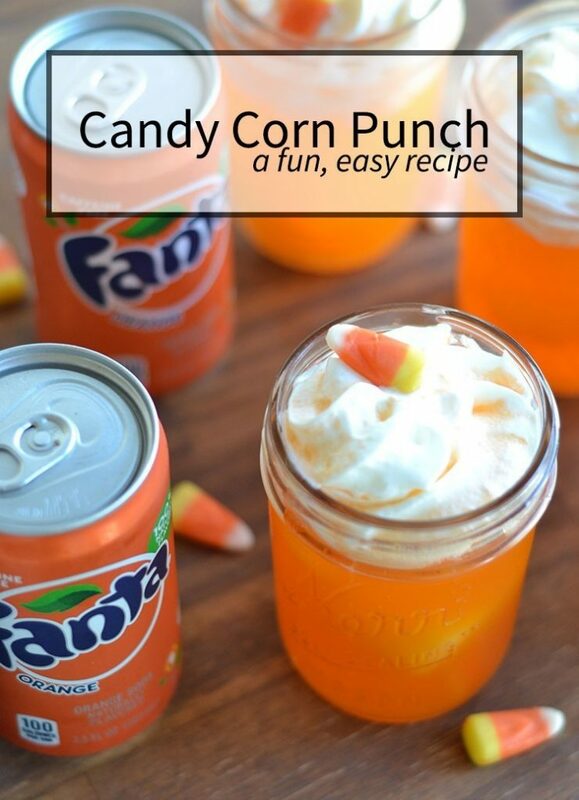 This Candy Corn Punch is an ever-popular post on NellieBellie. Rightly so, it’s fast easy and looks fantastic for Halloween! 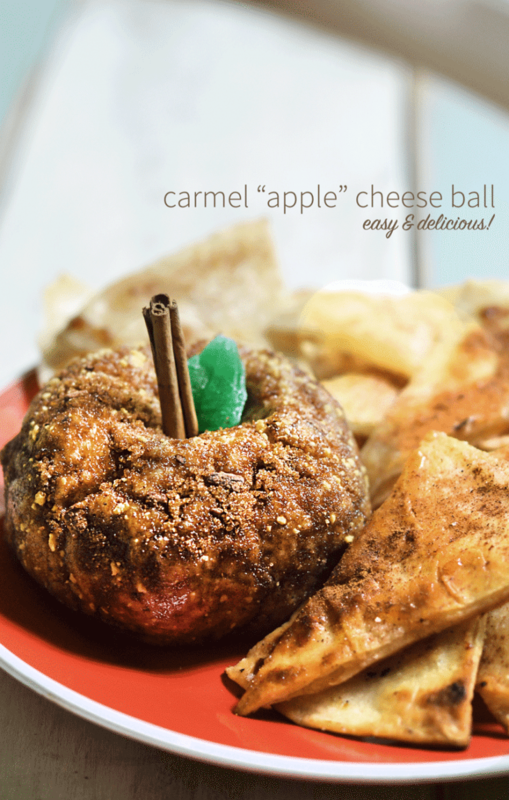 great for your adult parties. 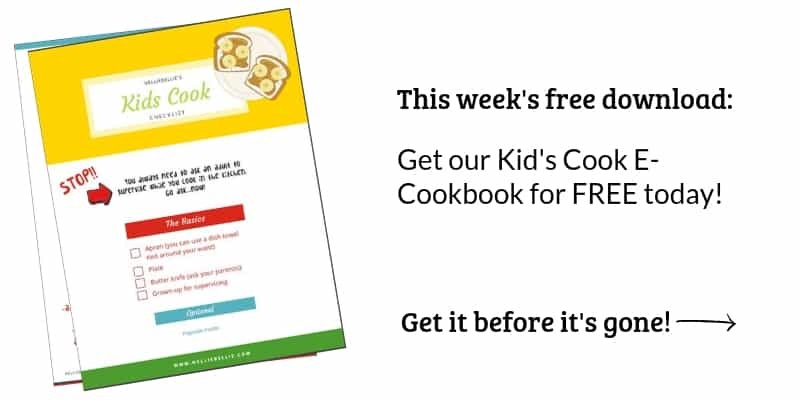 Still quick and easy!